Patient Satisfaction and Pay For Performance in Healthcare ( P4P ) – three things all doctors need to know. In these early days of Pay for Performance in healthcare reimbursement (P4P), as the size of your paycheck begins to reflect your patient satisfaction scores, let’s have a frank discussion about three important topics all healthcare providers and organizations must understand going forward. A large component of your performance ratings will be based on patient satisfaction surveys very much like the HCAHPS inpatient or Press Ganey out patient satisfaction surveys currently in use. Here is a link to the HCAHPS patient satisfaction questions where you can see the three doctor specific patient satisfaction measures that are already publically reported on the Medicare Hospital Compare website. It is important that we get granular here so that you understand exactly how your own personal patient satisfaction is both scored and reported. These patient satisfaction surveys ask a number of questions where the patient answers on a 4 or 5 point Lickert scale where the top score is “always”, “strongly agree” or “outstanding”. You may naturally assume that your personal physician rating is an average of the satisfaction scores from individual patients. You would be completely wrong in that assumption. Here’s how your patient satisfaction ratings are actually scored – it is NOT an average. 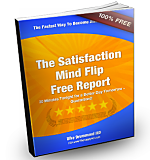 Your patient satisfaction scores are reported as a “percentage of top”. This means the percentage of patients who gave you the top score. In other words, only the top scores count. Anything less than 5 out of 5 is thrown out. 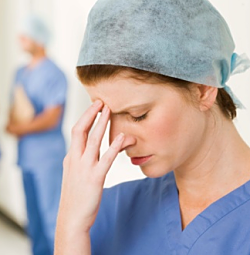 “Good” or “Above Average” is meaningless to these patient satisfaction scoring systems. I invite you to take just a moment to recall your last personal experience with a customer satisfaction survey of any kind. - When did you last give a retail transaction or online customer service top marks? - What did they have to do to earn that rating from you? Imagine the experience your patients will expect and you will have to consistently provide to receive the all important “5”. This is exactly how you will be rated by your patients more and more frequently in the years ahead. Soon these patient satisfaction ratings will determine a portion of your pay as well. 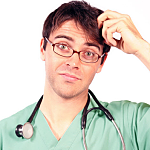 First you must understand what most healthcare administrators do not. Physician satisfaction is the only lasting foundation for patient satisfaction. It takes happy doctors and staff to have happy patients — in that order. This is not a “chicken or the egg” conundrum. To understand this fundamental fact, let me ask you the following question ..
How can we reasonably expect a patient to give a doctor a 5 out of 5 score on their satisfaction when … if we asked that doctor to rank their personal satisfaction with their workplace on that same day, they would score it a 3 out of 5? Your organization might be able to goose patient satisfaction numbers temporarily by cracking the whip and teaching some communication tricks to you and the staff … and it won’t last. In the near future, the most successful healthcare organizations will understand you can’t create lasting patient satisfaction without a solid foundation of a healthy, engaged and satisfied pool of staff and physicians. Let’s look at the current state of affairs … it’s not good. 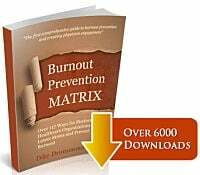 - An average of 1 in 3 doctors are suffering from burnout on any given office day. - In a 2012 survey by the Physician’s Foundation, 60% of US doctors say they would quit practice today if they “had the means”. Your patients notice this phenomenon. Their most common complaint- and one of the biggest obstacles to patient satisfaction - is that the doctor didn’t listen to them. This is a cardinal sign of burnout – known as compassion fatigue. 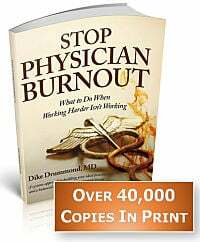 One of the main sources of the stress that causes burnout is patient flow systems (scheduling, EMR, billing, etc.) in your organization. Nothing is more stressful than an EMR that gets between doctors and their patients … or billing, coding and scheduling systems that seem to maximize hassle in the work day. As P4P and the closely related “value based purchasing” become more common in your marketplace, organizations that create a healthier, happier, less stressful workplace environment for their staff and doctors will establish a strong competitive advantage. - Patients will want to be seen there. - Quality doctors will want to work there. - Your patient satisfaction scores will reflect the efforts to keep physicians and staff healthy and get systems out of the way of patient interactions. Here is a question to get you and your leadership team going. Start by looking back on the last 3 months in your own practice. What average score would you give your personal satisfaction level with your day-to-day practice experience on that same 5 point scale? Take a moment to actually give it a number. What is your physician satisfaction number? - What is the first thing you would change at work to improve your personal satisfaction score? - What is the first step in making that change – the smallest step to making progress in the direction of a better work day? Now … grab your medical director (or your team if you are the medical director) and get on it. This simple process identifies a piece of low hanging fruit for you and your organization to improve three things all at once. PLEASE LEAVE A COMMENT … what is the first step you would take to increase your personal physician satisfaction (and your patient satisfaction) score?